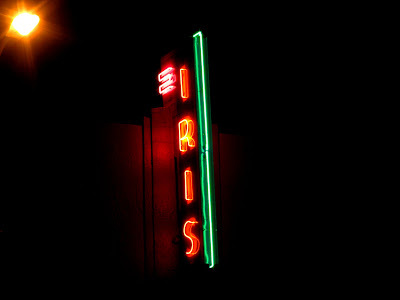 today's photo is one from the archives - the neon iris theater sign in downtown terrell. the current owners replaced the sign last year, and restored it in its original colors from when the theater first opened. I love neon signs and this one is a beauty. Glad it was restored. I love that sign - so cool!